Maybe Coco was right, and that’s what we have been doing wrong all these years! Taking her advice, a while ago, I went out on a search for the perfect signature perfume. Why? 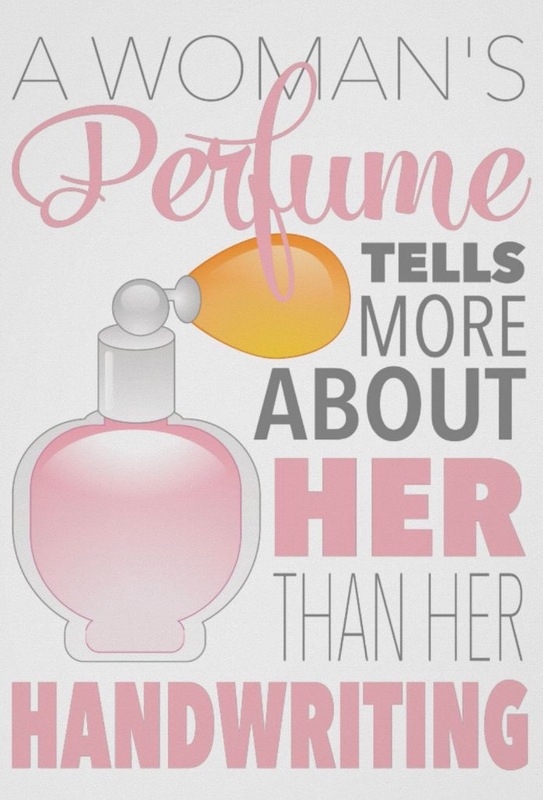 Because perfume is personal. It says something about you, and because our sense of smell is so closely linked to our memories, often time it is linked to the trinket memories people will have of us. So how does one go about finding a signature scent? Know what scent you are most attracted to. Do you like the. Fresh open air, the smell of the ocean, or the warm smell of the kitchen? This can point you toward a category or base scent. For me, it was vanilla. To me the smell is heavenly, and every perfume I have ever worn had vanilla in it. I knew I still wanted to stick to that. Do your research. Try an Internet search for perfumes under the category or scent you are drawn to. To go Sephora or a department store and smell different ones. After you have picked a handful you like, get samples. Often times you can guy them for a very minimal price, or even free at some stores. Wear your samples. Preferable applied fresh, and smell it occasional over the course of the day. Scents will all react different with a person’s skin chemistry, which can alter a scent dramatically. After trying a few samples, one of them will seem perfect for you! So what was the scent I settled upon? 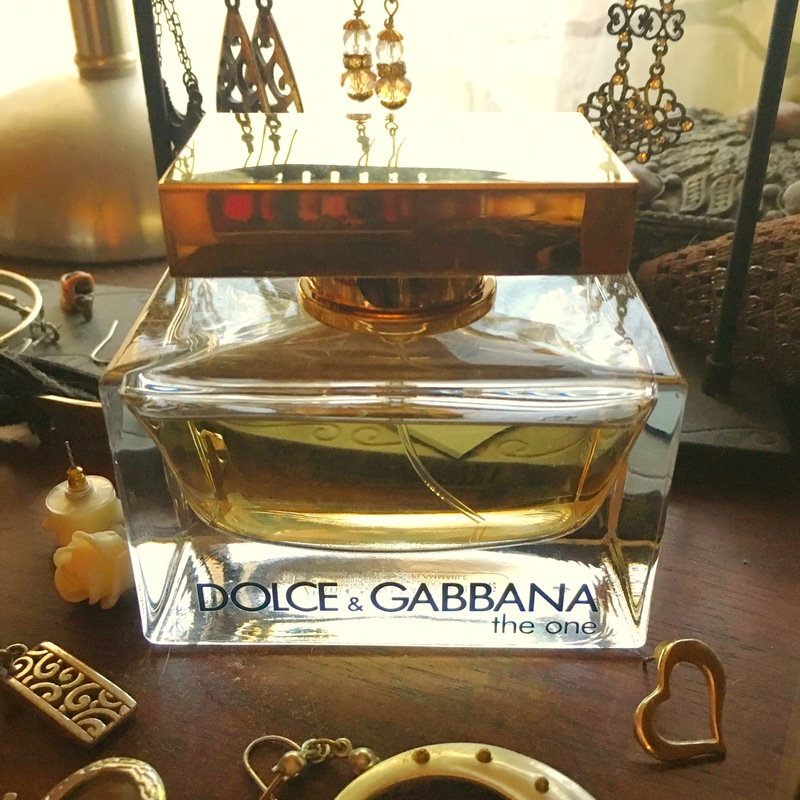 Dolce & Gabanna The One. It has warm vanilla undertones and feels indulgent to wear. It’s the perfect scent for me! Looking for the perfect spring outfit? Pair an open weave crochet too with a raw hem denim skirt abs a big straw bag. You will have just the right mix of comfort, casual, and attention grabbing! To keep with the trend of my OOTD earlier this week, I decided to share some of my advice for traveling. This time, instead of talking ab out fashion, why not discuss skin care. If you read my post about my favorite drugstore products, you know I have very temperamental skin. It’s dry, acne prone, and just looking at it wrong can send it into a grumpy downward spiral that takes a month of tlc and sheet masks to coax it out of. 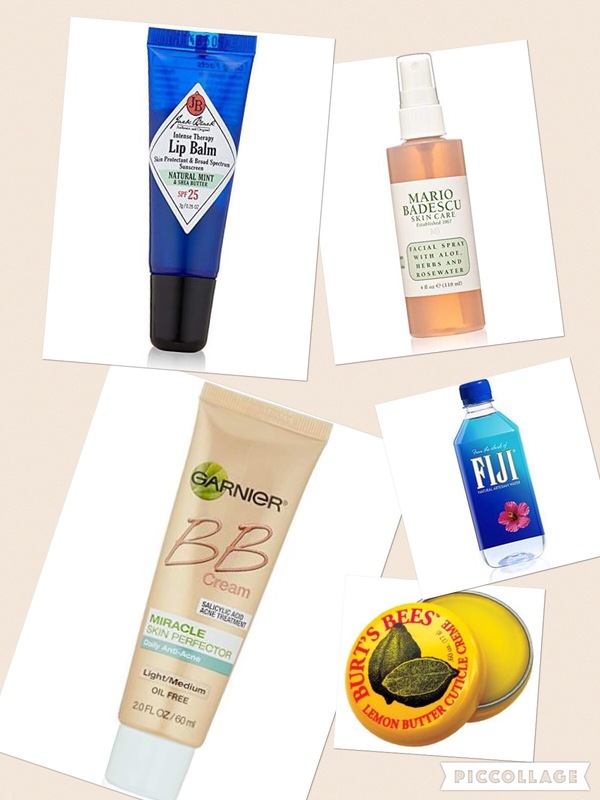 So keep reading to find out a few of my tips to help keep your skin happy when flying. Flying is dirty and the air is painfully dry for your skin, so You have to start before you travel. Before you leave, cleanse your skin well, apply a vitamin C serum to help brighten your skin,and then apply a thick layer of moisturizer and a good eye cream. I always apply a sheet mask the night before as well to give my skin an extra boost of moisture and and nutrients. Skip your usual foundation and apply a BB Cream instead. It will add even more well needed moisturizers and neutrinos to your skin. As much as I love my matte lipstick, try using a moisturizing tinted balm instead. Even better, put a thick, moisturizing lip balm on first. Don’t be afraid to reapply often. Bring a cuticle cream with you. A solid tin won’t take up space in those tiny bags they limit your liquids to. Apply a thick layer on your cuticles and nails before take off, and another partway threw your flight. Wipe everything down with with a disinfecting wipe when your first sit down. The buckle, your arm rests, anything you might touch. It can help you from transferring who knows what bacteria from transferring to your face, and as a bonus, hopefully minimize your chance of getting sick. I just can’t jump on the wear-a-mask-and-apply-your-moisturizer mid flight train, but I can agree that if you have a long flight and are prone to dry skin, a rose water facial mist can be incredibly refreshing. Drink, no, put down the coffee and that mid flight cocktail. Drink water. Lots and lots of water. Being dehydrated will not only make you feel exhausted and more prone to getting sick, it takes your skin dull, your lips look tight and cracked, and your under eye circles look even more exaggerated. I buy a liter of water when I first get to the airport and try to have it gone by the time I leave the airport at my final destination. Flight lasting more than 6 hours? You should probably drink even more than that! I hope you find this helpful, and safe travels! Normally, there is for though to these posts. Some outfit S wears and want to share with world. Today, I had that outfit ready, and then decided to be more spontaneous with that post. After all, the clothes in my closet will still be there next week. Today, I’m writing this post while on a plane, flying across the country to San Fransisco for a work conference. While traveling in general alludes to luxury and style, sitting cramped in an airplane seat does not. So exactly how can you dress to make the journey manageable, while still feeling like you could be featured on one of those airport style blog post that crop up everywhere. If you have ever read a travel post on StylishTwo before, you know that we do not think that travel is any reason to leave the house disheveled, and till in last nights legging or yoga pants. Yes, they are comfortable. Yes, they are easy. Yes, I wear them often. They are not stylish though. They are made for exercise, a night in on the couch with a glass of wine and your favorite movie, or a lazy morning with a lingering cup of coffee. If you aren’t on the way to yoga class though, leave the yoga pants at home. So what my answer after banishing what is considered the go to comfort clothing by many women? A jersey maxi dress. This stretchy comfortable fabric will mold to your body, making you look (and feel) anything but frumpy without having to sacrifice your comfort. After all, you even get to forgo the waistband. It long length keeps your leg covered, and give you somewhere to tuck your leg up into if you manage a little space for a mid flight nap. This grey maxi has been a long favorite of mine. I like it ankle length cut, and it minimal fabric, so I don’t feel like I have to control it while I am running across the airport to make a connecting flight. It’s short sleeves make it more appropriate for flying, where it normally chilly, and the neutral color make it easy to wear. Throw a cardigan over it to give you a an extra layer, and opt for flat to make airport navigation easier. Ruffle are big this spring , so I chose this ruffled cardigan, and paired it with a pair of pointed toe lace up flats, another big trend! I wear this mascara almost every day, it looks natural but better, and it’s nearly foolproof. I can’t even mess it up with my pre-work 5am, haven’t-had-my-coffee-yet makeup routine. They mean it when they call it clump crusher. I love how cat eye liner looks, but I am seriously eyeliner challenged. The game changer for me? This felt tipped liquid pen. It’s not perfect, but it has been the only one I can ever manage the look! It’s smooth application, and easy to control. I use this when I need a quick makeup cleanup, and to remove my eye makeup regularly. My eyes especially become very irritated at almost everything, but this never seems to bother them. It doesn’t always work perfectly on waterproof mascara, but I’ll forgive it for well how easily it removes my shadow and liner. I love to use it on these cleansing cloths, because they are cotton, and don’t leave lint all over my eyelashes. My hair is long, thick, and it seems always frizzy and dry. I combat this with a weekly hair mask. This mask has been my favorite lately. My hair always feels smooth and soft after, and it’s inexpensive enough that I don’t feel bad about using it frequently! I have extremely dry lips. It seems they are always cracking and peeling, probably a combo of my love of matte lipstick and constant dehydration. Input this stuff on every night to try and balance it out.